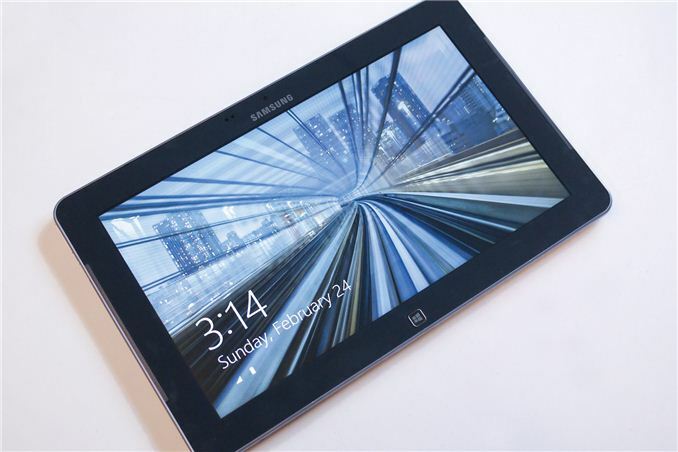 The Windows 8 tablet space at launch consisted exclusively of Tegra 3-based or Core i5/i7 ULV-based systems. That changed with the release of Krait and Clover Trail tablets like the ATIV Tab and Acer W510, respectively, but with 7W IVB and AMD Z60 on the very near horizon, we’re seeing the Windows 8 tablet market start to expand and evolve quite rapidly. After a very positive initial experience with the Windows RT slates, I was very eager to get my hands on an x86-based tablet. So when Anand gave me the chance to review one, I jumped at the opportunity. And so we have the Samsung ATIV Smart PC, which is also known as the Samsung Series 5 Slate 500T in other parts of the world. It’s an 11.6” 1366 x 768 Clover Trail tablet that ships with Windows 8, 64GB of NAND, a laptop dock, and an MSRP of $749, and shouldn’t be confused with the more expensive ATIV Smart PC Pro (11.6” 1080p, Core i5, 128GB, Windows 8 Pro) or the no-longer-available ATIV Tab (10.1” 1366 x 768, Krait, 32GB, Windows RT). It’s pretty bad, though not quite as ridiculous as ASUS trying to make the distinction between the VivoTab (Clover Trail 11.6”), VivoTab Smart (Clover Trail 10.1”), and VivoTab RT (Tegra 3 10.1”). Somehow, nobody has broken it to many manufacturers that the name of a product does really matter and just tacking on a suffix like RT or Smart PC means nothing if people don’t grasp the difference between them. The confusion generated by the naming schemes in use is a major factor in the somewhat lukewarm market response to many of the high profile Windows 8 devices. Part of the reason is down to the confusion generated between Windows 8, Windows RT, Metro, Modern UI, and the various other brand names used by Microsoft in relation to the latest Windows release, but the manufacturers haven’t helped things along much either. Microsoft itself can be pointed to as a culprit here as well, unless you think “Microsoft Surface with Windows RT” and “Microsoft Surface with Windows 8 Pro” roll off the tongue easily. 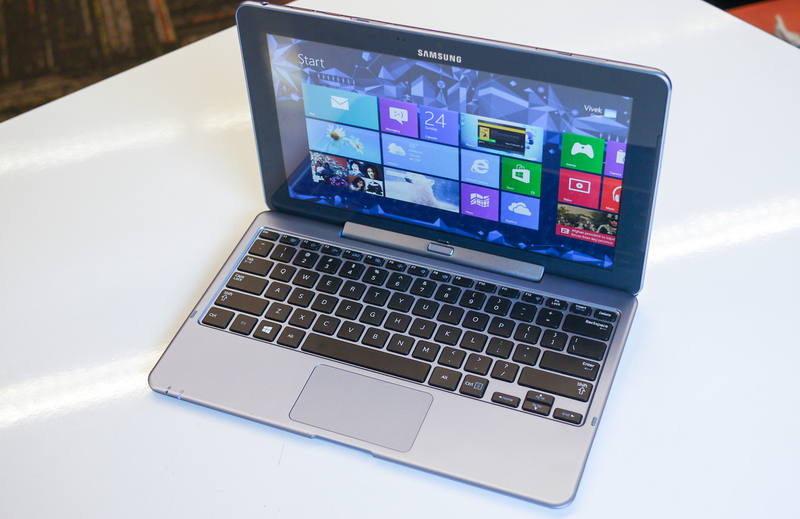 Nomenclature concerns aside, I was actually pretty excited to check out the ATIV Smart PC. It, along with the VivoTab TF810C, were the two slates I had marked as most interesting in my mind during the lead up to the Windows 8 launch. Clover Trail meant good battery life and x86 compatibility, the inclusion of Wacom active digitizers were exciting, and the 11.6” PLS/S-IPS displays seemed promising. The two are very comparable devices, though the ASUS is priced higher at $799, and doesn’t include the laptop dock anymore (it did at launch.) That gives the Samsung a pretty sizable price advantage, as $749 is only about $50 more than the 64GB Windows RT tablets when the keyboard accessory cost is included—more than worth it given the disparity in features and capability. This is even more true when you consider that the street price of the ATIV Smart PC has been fallen to $549 without the laptop dock or $729 with (though we've seen it at $649 at Amazon on occasion). Dimensions 10.46 x 6.62 x 0.35" 9.5 x 7.31 x 0.37" 10.39 x 6.99 x 0.35" 10.81 x 6.77 x 0.37" 11.97 x 7.46 x 0.39"
It seemed like the ATIV Smart PC would offer a good compromise between the mobility of the ARM-based slates and the power and features of the Intel Core-based ones, something aiming for the sweet spot of the Windows tablet lineup. After spending an extended amount of with it, I think it’s close, but there are some definite areas of improvement. Yes, it's available in the US. Mine is on Ebay at the moment. and ~12000ms in Mozilla Kraken. Intel Clover Trail Atom is way better than old cortexA9! Even close to cortexA15 in some cases. And with the remarkable 1.7W TDP, it totally smashes the A15 in efficiency!